Hwy 101 mile marker 353. 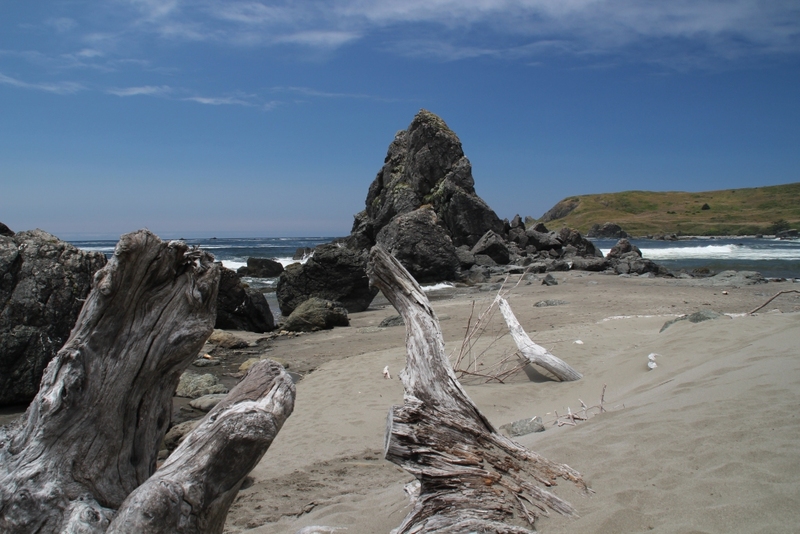 Lone Ranch Beach is the Southernmost entrance point of the 12-mile long Samuel H. Boardman State Scenic Corridor. You can walk quite a distance along this very long beach. It's real photogenic, too, as you can see below. 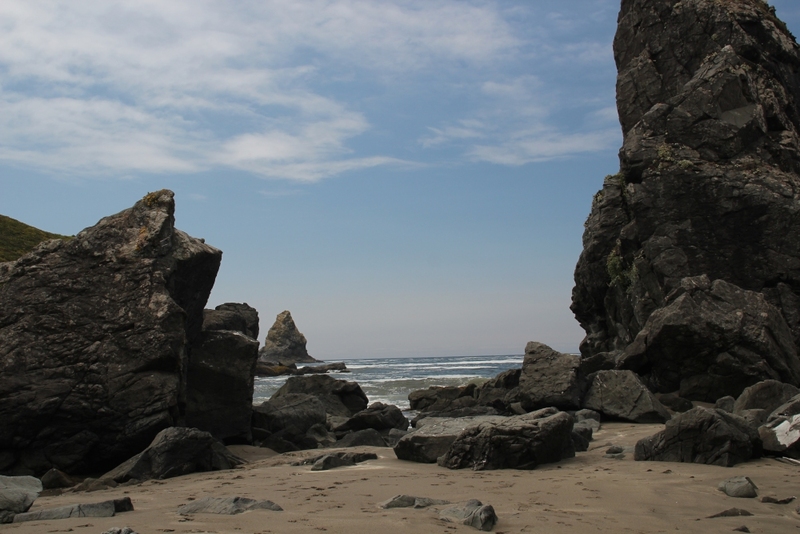 Oregon Parks link:Lone Ranch Beach No fee required. 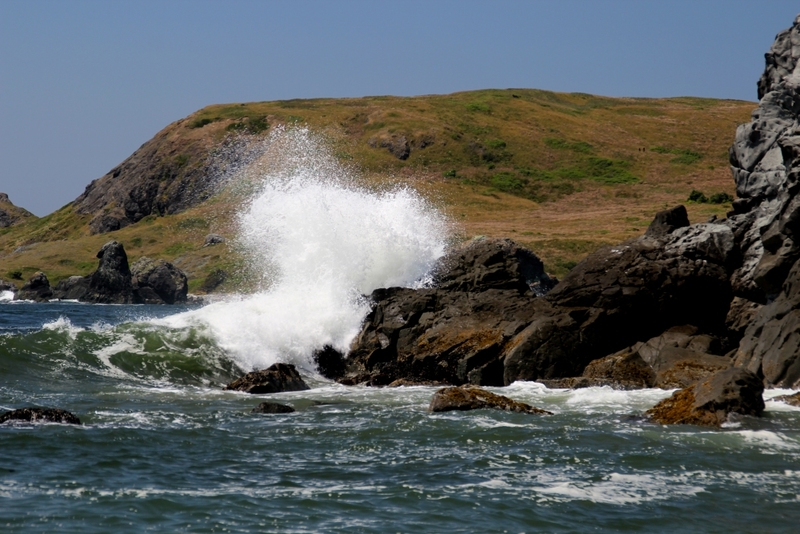 Here's a shot of the headlands as seen from the shore. 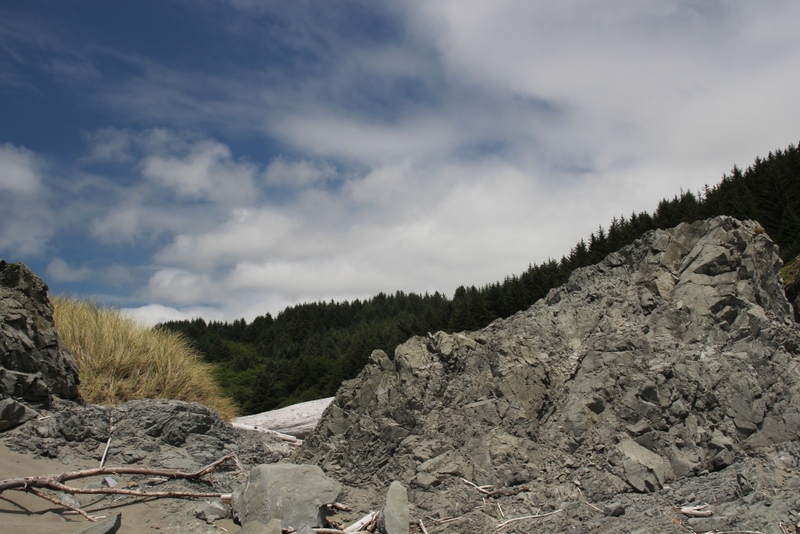 Some areas of the beach are quite rocky. 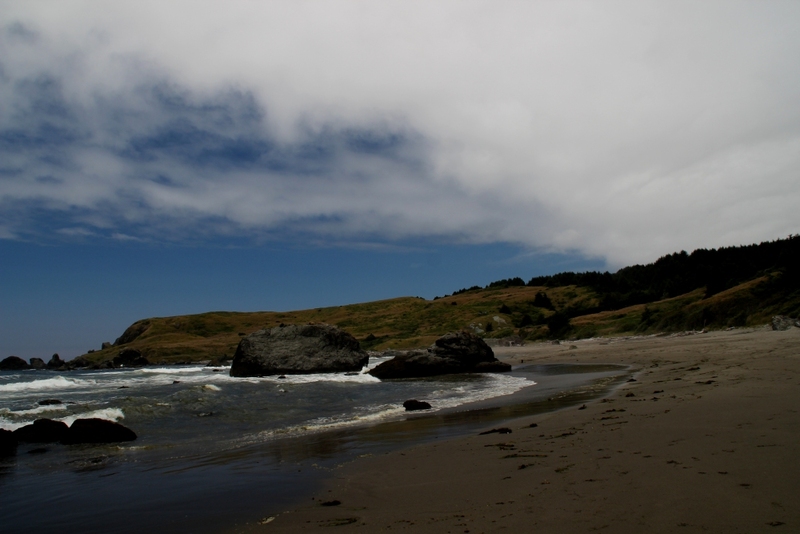 Headlands on the North side.